It’s that time of year again where the towns of Echuca and Moama have their busiest weekend, with crowds flocking to the banks of the mighty Murray River to watch the 49th Annual Club Marine Southern 80 Water Ski Race, held February 7th, 8th and 9th. This year there are 595 entries over the weekend, with a total of 301 boats entered into the huge range of classes. Competitors are travelling to the event from 439 towns all over Australia, as well as a number of International competitors from New Zealand and Belgium, with over 1000 competitors competing over the weekend. 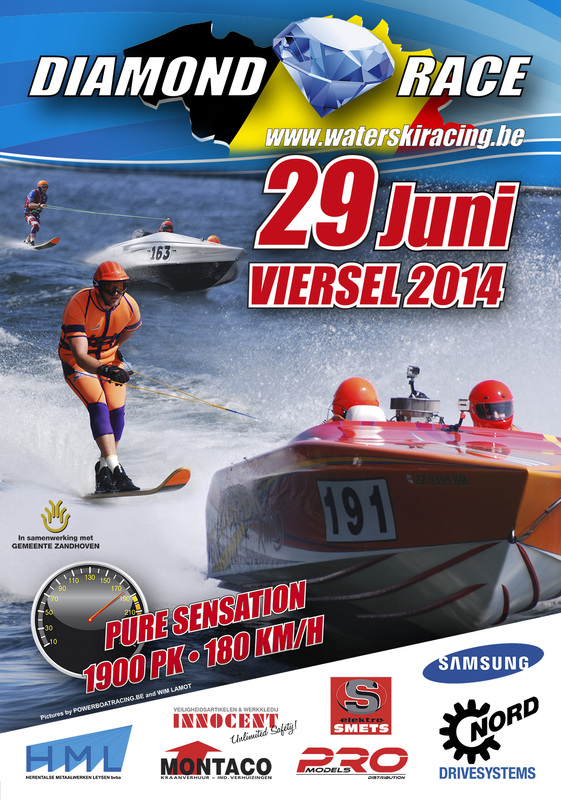 The Southern 80 is known as ‘The Biggest Water Ski Race In The World’, with 126 bends throughout an 82km course. Any team racing consists of a boat, driver, observer and two skiers (expect disabled and tadpoles, where they only have one skier). The idea of the race is to get down the river in the quickest time possible, starting at Torrumbarry Weir and finishing at Victoria Park in Echuca. The best place to watch all the action is down on the waterfront at the finish line, Vic Park Echuca. Entry is $20 for a day pass, $30 for a weekend pass, with children under 13 free. Official race programs can be purchased from the finish line and at local newsagencies within the next few weeks for $10. The excitement begins on Friday morning with the Coates Hire Breakfast with the Stars at Kerribee Soundshell in Moama. Here people can meet the teams and check out all the boats on display. A great way to learn about ski racing or get up close and personal is to bring the kids along to the table of the Stars, where they can collect signatures on posters, and ask competitors about racing. There will be a panel of competitors available between 7.45am – 8.15am. Food and drinks will also be available. Saturday morning has the social classes racing from Torrumbarry to the Finish line, along with the Total Tools Epping Static Display in Hare St Echuca, where a range of boats and teams will be on display between 9am and 12 noon. Entertainment at the finish line includes the Freestyle MotoX demonstrations from Cam (Sincs) Sinclair, Brenton Drager and Jackson Strong as they ride over jumps and perform tricks for the crowd. Their skills will be shown at intervals from 10.30am – 3pm, both Saturday and Sunday. The Aspen Parks Playground is great for the kids to hang out, with Face Painting, a jumping castle, Mike the Magician and a Bungee Dash to keep them going! Entry to the playground is $10 per child. Sunday’s racing are the expert classes, along with other entertainment including the ‘Money Now Corporate Tent’ open 9am – 5pm, the Carlton Dry Chill Out Zone, along with trade sites including merchandise and displays. For further information regarding the event you can visit www.southern80.com.au or contact the Moama Water Sports Club on 03 54806754.